Popular card battler catching up to its Android counterpart. People have gone nuts over Cygames' Rage of Bahamut. The free card battle game currently has over 7,000 five-star reviews on Android, and a less impressive but still healthy 976 similar ratings on the App Store, with over one million registered players. In the mobile space, that's a big deal. It should come as no surprise, therefore, that Rage of Bahamut became the number one top-grossing iPhone game in the U.S. The fact that it was released May 15 of this year makes this achievement even more remarkable; the Android edition has held this spot for six weeks straight. 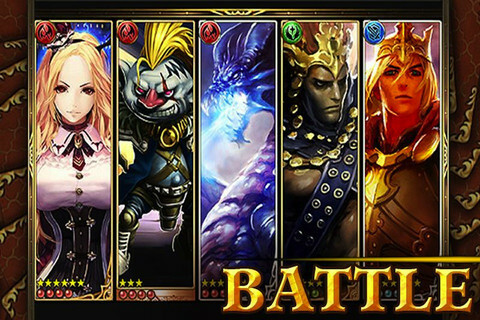 "Cygames is delighted to see US Mobage users enjoying Rage of Bahamut," said Koichi Watanabe, President & CEO of Cygames, Inc. "We will continue to bring the best entertainment experiences that exceed the expectations of people around the world." That's all well and good, but it appears the game's number one ranking was short-lived. After paying a quick visit to the App Store, Rage was bumped to the number two spot, where it sits behind Kabam's Kingdoms of Camelot: Battle for the North. Of course, better to be numero uno for a little while, as opposed to never climbing the mountain at all.